Today's article is a guest post from Kevin Graham. 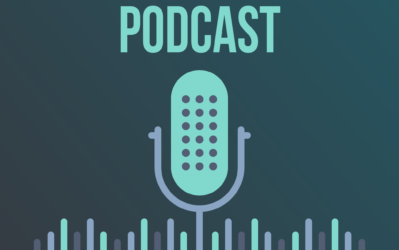 Kevin has been building successful niche sites now for a few years and he shares some great tips for building, scaling, and selling your site. In fact, he and his partner have sold 2 sites for over 6 figures! While some of the guidelines that Kevin teaches aren't exactly in line with what I do (building LOTS of sites instead of focusing on a few, using PBNs, etc), he has clearly found s system that works well for him. Overall, I hope you pick up a few great tips to help you build a successful site! The key to success with web assets is to take an approach that turns the building and management of niche sites into a real business. To replace the income from my 9-to-5 job for the long term, I've decided that I want to build many sites (instead of just a few) – and that requires a different approach. Like Spencer, I starting building niche sites in my spare time whilst working full time as an IT Support Officer. In late 2013, I sold a small AdSense niche site for $3,000 with Empire Flippers and realized I could make a real living off niche sites. In 2014, with some savings and my partner in tow, I moved from my home in Australia to Chiang Mai, Thailand to start building niche sites full time. Thailand is a very cheap place to live and Chiang Mai has a fantastic expat community meaning savings and motivation last a lot longer. This was way beyond my initial expectations and goals. It all starts here. Keyword research is the most important step of the process, because finding low competition keywords is vital to the success of your niche site. This is the domain of my partner – he uses Long Tail Pro for keyword research, and analyses the data in detail to evaluate competition. He also uses a lot of gut feel and instinct built up over the years – he says “keyword research gets easier, but it is never easy in my opinion”. His advice for new players: follow Spencer’s posts from the Niche Site Projects 1, 2 and 3 on keyword research – they’re still as relevant as ever, and start exercising that keyword research muscle. “Content” is another way of describing the words, images and product reviews that form the basis of your niche site. Having the best and most helpful content in your niche will help your site to rank and convert visitors into buyers. Finding good writers to produce that content for you can be hard but once you have them, they are an invaluable part of your team. We wrote all of the content for the first site ourselves, but once you start making money, you should hire some good writers to leverage your time. Sites need to be built, hosted on severs, have logos uploaded, themes formatted and content posted. Make sure your site looks good and loads quickly to get the best results. We have a site builder on our team who does all of this work for us, allowing us to focus on other parts of the business. Your site could be the most helpful site in your chosen niche, have amazing content written by A-grade writers, on super fast hosting with a clean and responsive theme… All of that won’t matter if you don’t do any SEO – no one will see your site. You will get beaten by the competition with their rubbish content and clunky site, who simply did a little SEO. Everybody has his or her own take on SEO, so find a method that works for you and run with it – whether that’s building your own Private Blog Network, renting links from others or doing outreach and link baiting – or any combination of the above. Potential sale price after brokerage on a marketplace like Empire Flippers. Tracking this data allows you to interpret what is actually going on with your sites. If traffic increased during the month but earnings decreased, what happened? Was it because more visitors bounced from your site, so there might be something wrong with your site. Or did the product you review go on sale, reducing your commissions? Maybe the products you reviewed have gone out of stock on Amazon? Some things you can fix, some things you can’t. Niche sites are extremely low maintenance compared to other businesses (you see all the updates for Long Tail Pro right?) but they are not completely passive. Neglect them completely and your income will eventually dry up. If you don’t want to keep up with a site, it might be time to consider selling it. Earlier this year, I sold one of our sites on the Empire Flippers marketplace. The site had been a passive earner for us for quite some time (apart from our regular monthly stats review and quarterly site review), and we felt it was time to find a new owner for this site. When we listed it for sale, the site was making about $5,600 per month, and sites of this size generally take a little bit longer to find the right buyer. The process took about three months in total from when we submitted it for sale on Empire Flippers through to when it sold and I transferred it to the new owner. Empire Flippers make it really easy to sell profit making sites on their marketplace and they have a number of buyers ready to snap up sites, especially sites that are earning from $500-$1,000 per month – those sites will generally sell within an hour or two of listing. I was super pumped with this sale – it provided a big cash win for us and a high-return asset for a new owner who can spend more time working on that one site and take it to the next level. They’re already posting new content for additional long tail keywords and working on expanding the site. With money coming in and my partner remaining focused on niche sites, I was able to try and fix a problem that had I’d been facing in the operation of our niche site business. 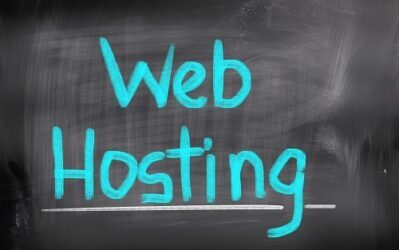 In late 2015, I launched a new business called Bulk Buy Hosting where we provide reliable, reputable & affordable hosting for private blog networks. (Spencer's Note: I do not personally recommend PBNs as explained here). In January this year, I launched a case study on my blog. The case study covers buying a premade niche site and ranking it with your own private blog network. 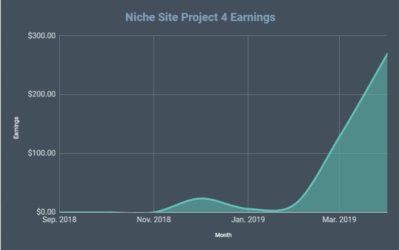 I called it the “Starting from Scratch” case study, as it was exactly what I would be doing if I was starting over in the niche site business. 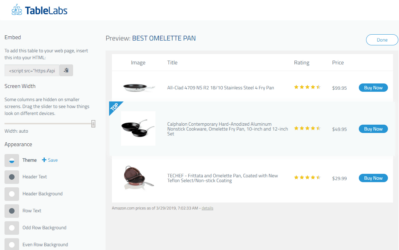 The case study shows how I spent my $1,000 budget and bought everything that is needed to start earning affiliate commissions from a niche site. Thanks for reading and letting me share my thoughts and successes. I also want to say a big thank you to Spencer and the Long Tail Pro team – without you guys, I wouldn’t be where I am today. Interesting that you are making good money with PBNs and Spencer is diabolically opposed to them; would love to see who is right in the long term. I think the question comes down more to what kind of risks you’re willing to take. PBNs can still be very safe, and if you have a good system in place like Kevin, it can be very lucrative. White hat seo certainly isn’t all rainbows either and can be very difficult for thinner affiliate sites. Impressive! Thank you so much for sharing this. You’re welcome Leo. Hope you found some useful little tips in there to improve your processes and experience success with building and managing a portfolio of sites. so how many more post are gonna be about promoting empire flipper? But seriously, thanks for the shoutout Kevin! There’s definitely way more meat to this post than just Empire Flippers stuff. Kevin basically has laid out six pretty simple steps that has allowed him to have more than one six-figure exit and create a portfolio of profit producing assets for what looks like for the long haul. Generally, I find that it takes around 6 months to rank a site for most of its target keywords – although I have had some sites that have hit that point after 3 months, and some that have taken closer to 12 months. If you are stuck in the rankings, then it just means you need to add some more links until you have enough to get to the front page. 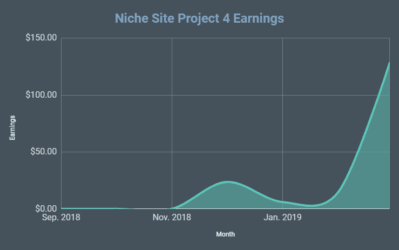 I detail every dollar spent in the case study posts over on my site, but it was $399 for a prebuilt Niche Site from Human Proof Designs and the rest went on expanding the site, finding domains for a PBN and building the PBN. Hi Spencher, I am starting so basically a noob hopefully will find success thanks for your awesome content! There is certainly plenty of great, free information from the Niche Site Project 1, 2 and 3 on here. My sites are all built based on what I learned from the first two Niche Site Projects, and I’ve been very successful. Hi Kevin, thanks juggling between work, family and building sites is hard but is totally worth it! Kevin, great post! I’ve backed away from PBNs like Spencer, but I know they work well. Just about everyone that still uses PBNs seems to be doing really well and they manage the network in a methodical way. Private is the key. You’re spot on there Doug, keeping your networks private is the key as far as I’m concerned. Regarding the “white hat” approach, strangely that’s how I’ve been building up the profile for my service, Bulk Buy Hosting, and I’ve really been enjoying it – so who knows, perhaps I’ll start building more white hat sites in the future. I guess the world of SEO will always be divided on PBN’s. I can understand why Spencer who lost $5K sites a month as a result is not in favour! They’re not without their risks, but keeping your network private is one of the most important aspects. I enjoy the speed and convenience they deliver me in terms of being able to rank a new web site quickly and with a lot less effort than it would require to do outreach. kevin, great post and well explain. how do you manage all the data from your niche site, you have all those data in a excell sheat or you use a particular program for that? All of the data is kept in an Excel spreadsheet that was developed by my business partner. He is an absolute whiz at Excel, which is handy. It keeps all of the historical data for our sites and automatically graphs the last 12 months of data for us, making it easy to keep an eye on the progress of our sites. That being said, you probably don’t need something that fancy to track the data and make meaningful observations from it. 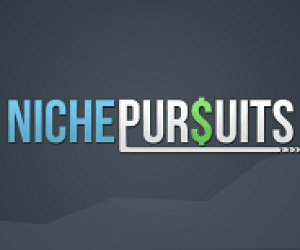 Great post on your process to creating successful niche sites! I really enjoyed the metrics that you track as they can be a good measure of progress for any niche site! If we happened to be in Chiang Mai how would we get in contact with you to maybe get some coffee! You can reach out to me via my web site (you can click my name in this comment to visit it) or send me a tweet – @_KevinGraham. This is such a useful post, covers all the basics you required to start your online business and grow it. Thanks Rahul, glad you found it useful! Another new insight regarding PBN’s nice article. Very impressive guys – thanks heaps for the share! I’ve been through the case study and picked up some great tips – going to give Hire Writers a shot. I have a similar story, quit my it support job in melb 3 months ago to grow my niche site. I’m breaking even with expenses but considering the move to KL or Chiang Mai to invest some of my earnings. Just wondering if you live out of hostels and work out of local coffee shops and malls? Sorry for the late reply. You can get a fully serviced apartment here from as little as 5000 THB per month in the nice areas, and probably less if you go further out. That’s a 32 sqm studio apartment, so there’s no real need to deal with the “party, party, party” attitude that most hostel guests have. I have a much larger apartment and tend to work from home, because it allows me to spread out on a desk, have a proper chair and a nice large monitor, all of which you can’t really get in a coffee shop, or even most coworking spots. Do you mean your 20 niche sites make $500/month *each* or do all 20 sites make $500/month *collectively*? He means makes $500/mth each. Or $10,000 a month total. Really, inspirational post for me. This is a great read. I would, however, want your opinion on Private Blog Network, renting links from others and doing outreach and link baiting. I understand that PBN is a grey hat method of getting backlinks, but what about renting links from others? Is it grey hat or white hat. Also explain the effect that rented links can have on a site once I stop renting the links. buying links (renting) is black hat.